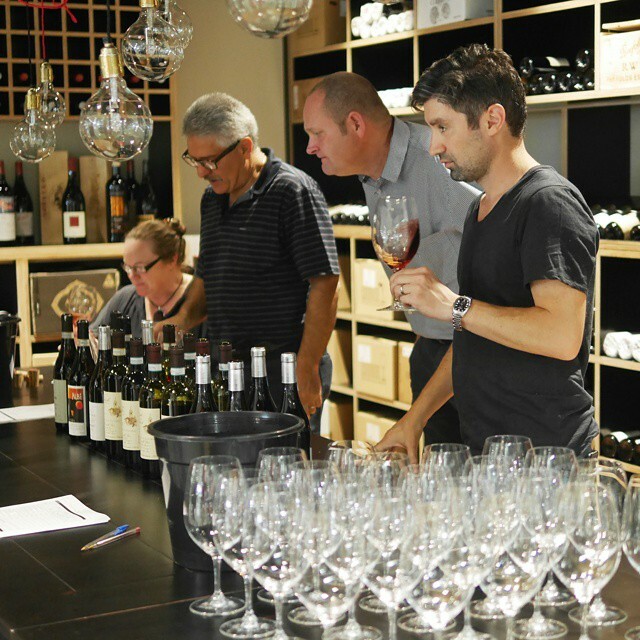 The new Boccaccio Cellars store has opened and they’ve already started to have regular – and amazing – tastings each week. This past Sunday I popped in to taste some wines from the Alba area of Italy, here are my notes on them. Exceptionally crunchy tight intense acid/tannin structure, quite biting in its youth, nice peppery stemmy aromatics. Pretty stinky and reductive, on the bretty side(? ), not bad on the palate though, still bright and fresh, almost sour jubes on the back. Much prettier but in a leathery earthy way. Fresh bright crunchy raspberry cherry fruits, volumous and warm, tight needing time to open up. Leafier youth, earthy roses, quite classic. Juicy soft on the mid, fresh and bright tightness of tannins on the back, quite generous with good weight and length. Juicy spur plums, dried blackberries and violets. Very lean and lacking depth, finishes a bit short, sound fruit but missing something. Crushed dried raspberry, maraschino cherry, very subtle integrated tar. Sweet round tannins, nice acids, quite juicy but a good kick on the back. Quite a pretty expression. Fresh juicy, more like a nebbiolo than a Barolo. Lacks a bit of intensity and depth, particularly considering the vintage. Quite closed, not really expressing that much on the nose. Quite light and lithe but peacocking on the palate. Tannin really kicks on the back, heaps of potential for ageing, quite exceptional. Very subtle, elusive floral aromatics. Supple on the palate, fresh and focused, nice and long, very accessible in nature. Great wine, not sure if it’s got the longevity though.